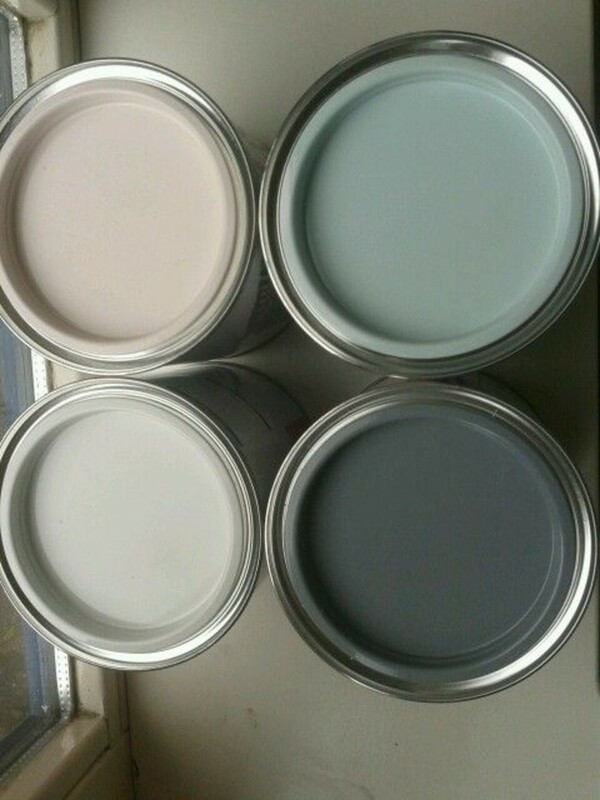 In the past, people used to perceive grey as a somewhat gloomy and depressing color. 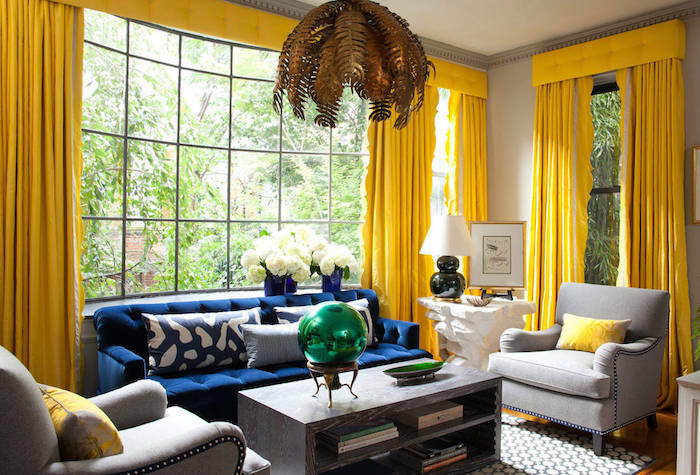 Luckily, views have changed, and decors in gray hues have become increasingly popular in recent years. 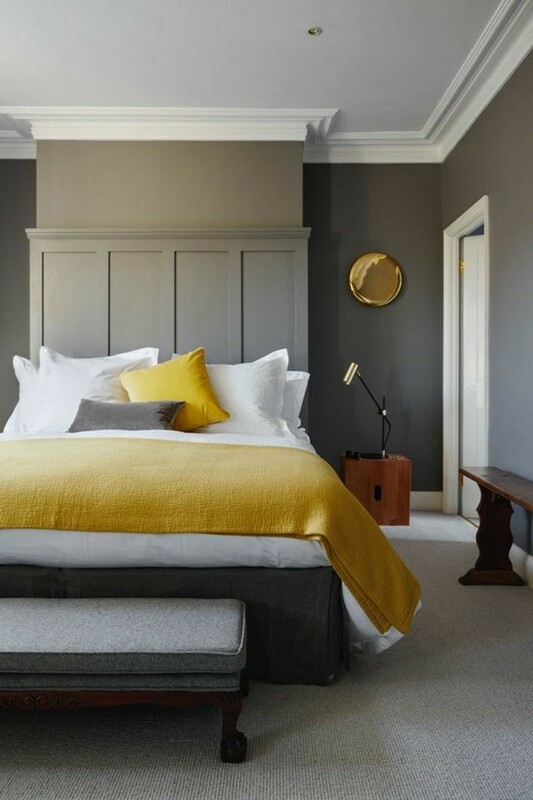 If you are thinking of repainting your home and are looking for colors that go with gray walls, you have come to the right place! 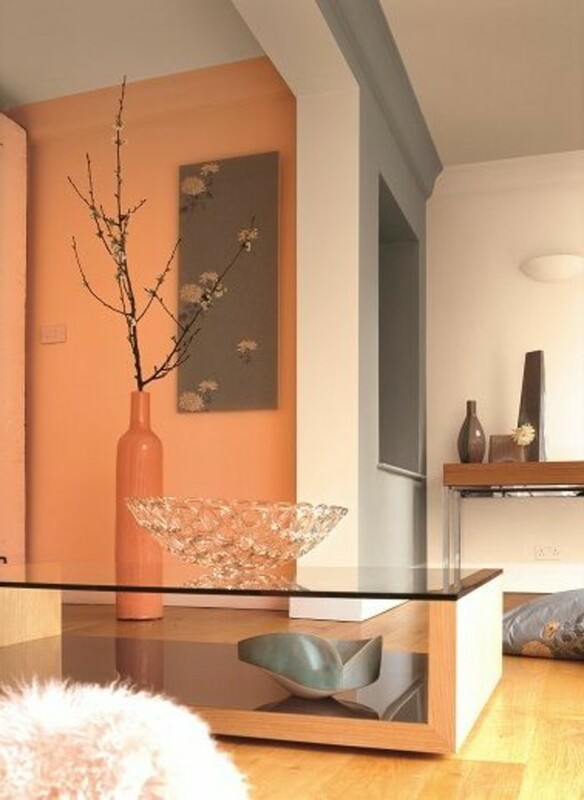 We have lots of suggestions to help you choose a stylish and sleek design for every living space. 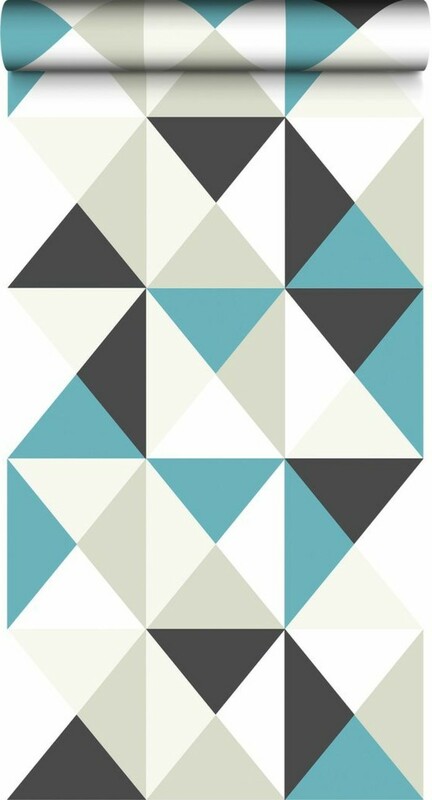 What does gray color symbolize? 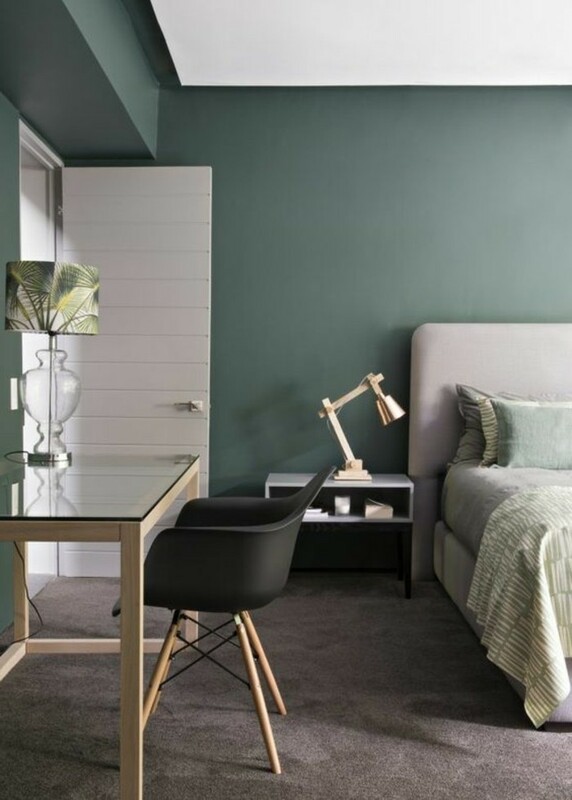 Although gray might seem boring to some, it is ideal for intelligent, minimalistic individuals. 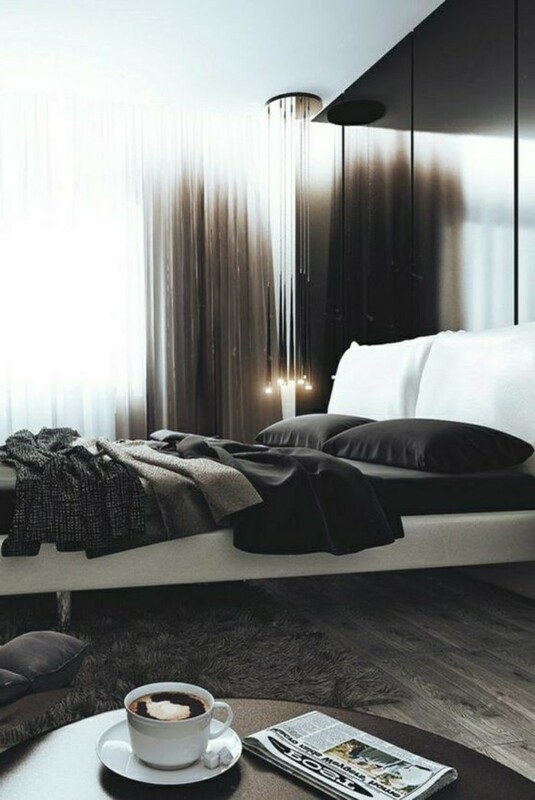 Positioned in the perfect middle between black and white, it symbolizes balance and moderation. 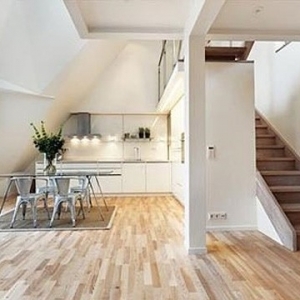 It is a great choice for people who dream of a sophisticated home, that gives off maturity and stability. 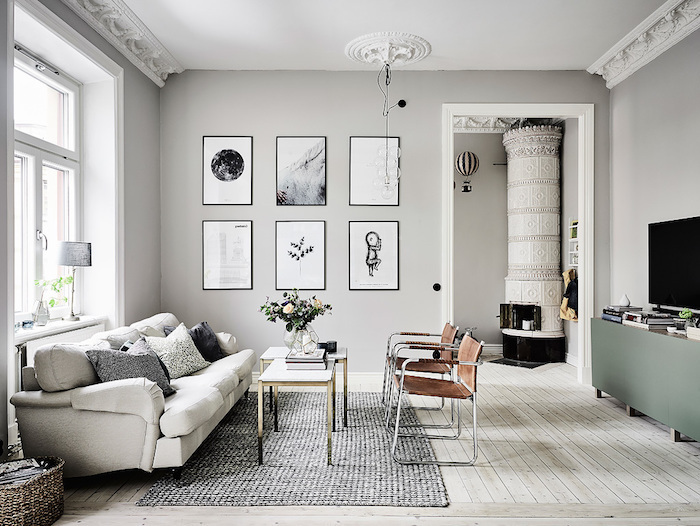 The combination between gray and other colors is especially effective, as it creates an atmosphere that is both cozy and stylish. 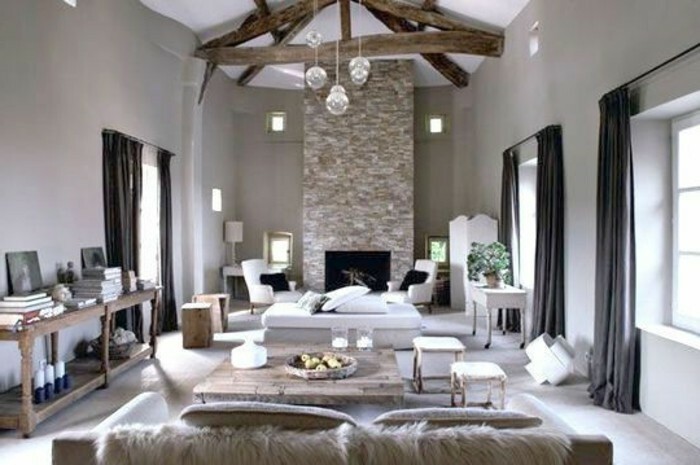 Naturally, adding some carefully chosen and classy statement furniture pieces in different colors, is an absolute must. 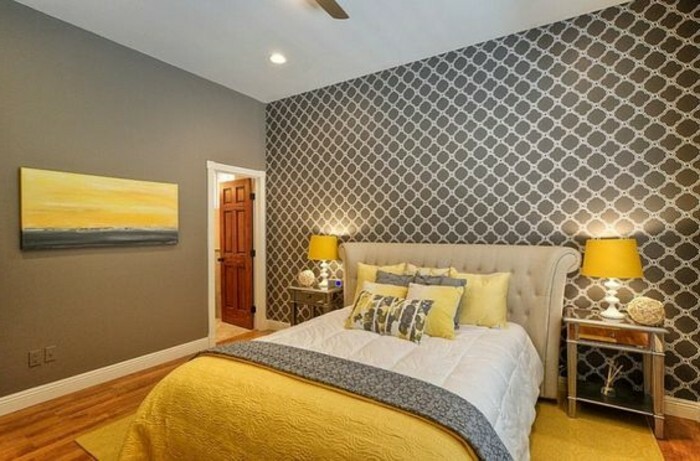 Having trouble choosing colors that go with gray walls? 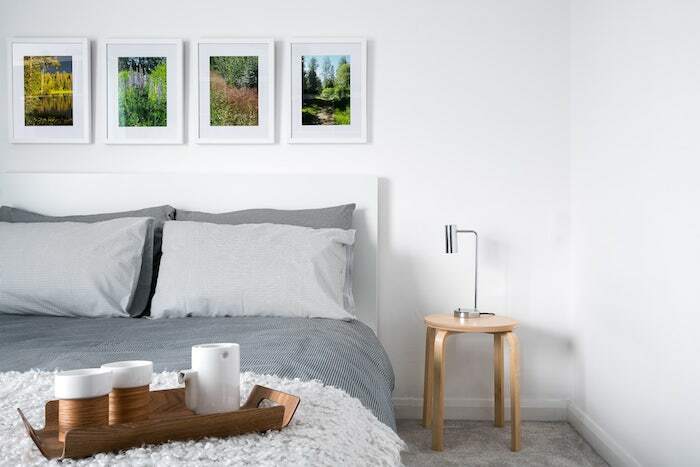 Adding white and green accents will give a touch of Zen aesthetic to your home. 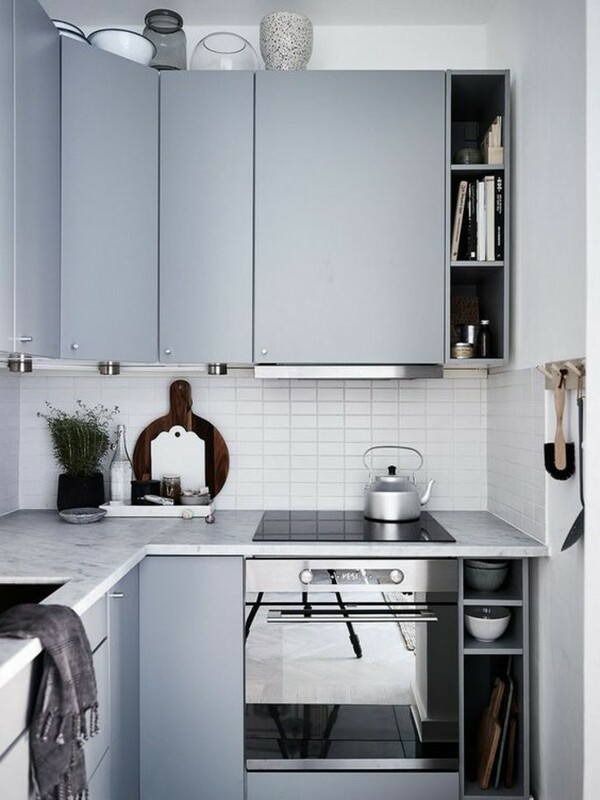 Some interior designers have begun referring to gray as “the new beige” because it has recently become one of the most popular natural colors in the sphere of home decoration. 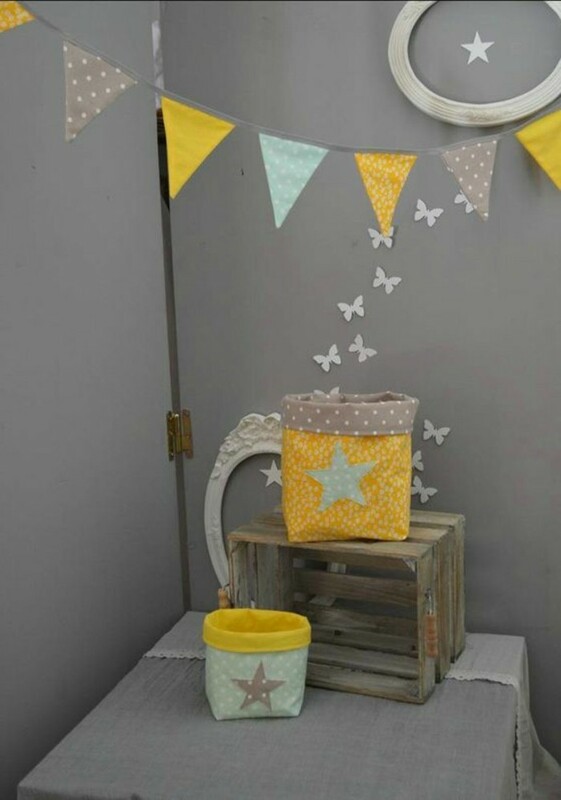 One of gray’s best features is its versatility – it can be successfully combined with loads of other colors. 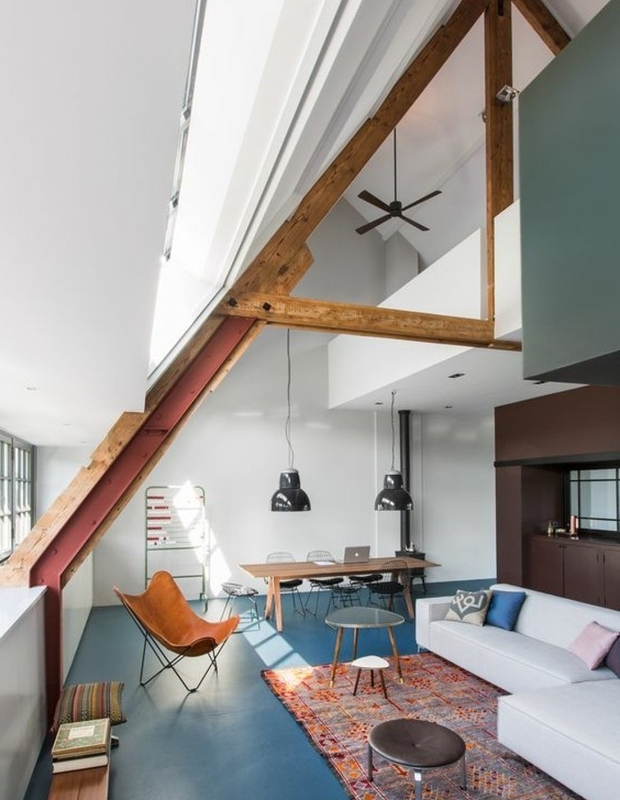 It softens the effect of brighter hues, making interiors more balanced and harmonious. 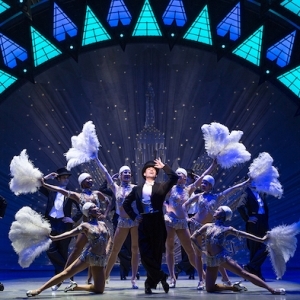 Depending on the kind of effect you’d like to achieve, you can try many different variations. 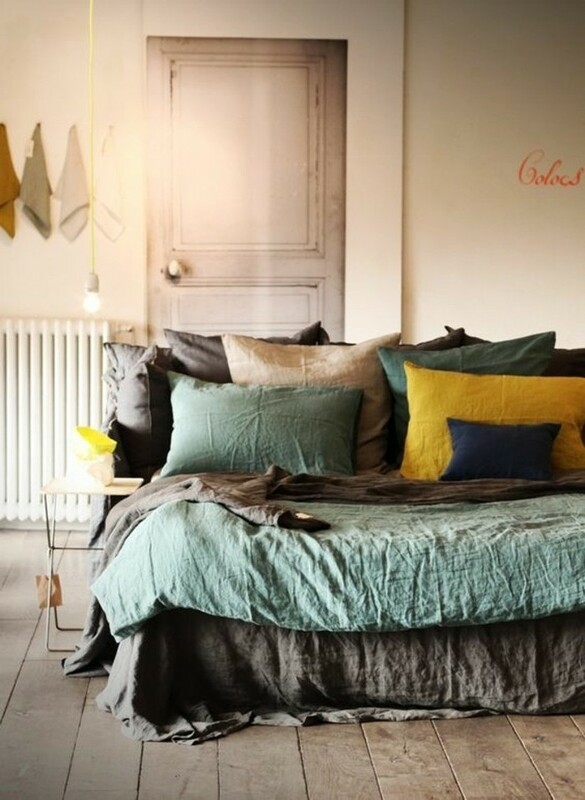 When combined with yellow or beige, gray looks fresh, stylish and modern. 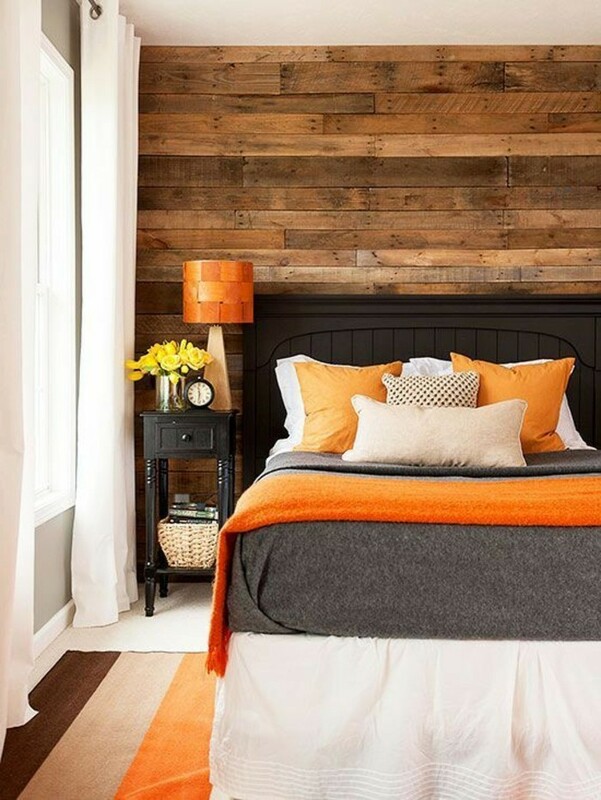 Orange and brown are also very suitable matches, and create a warm, sunny effect. 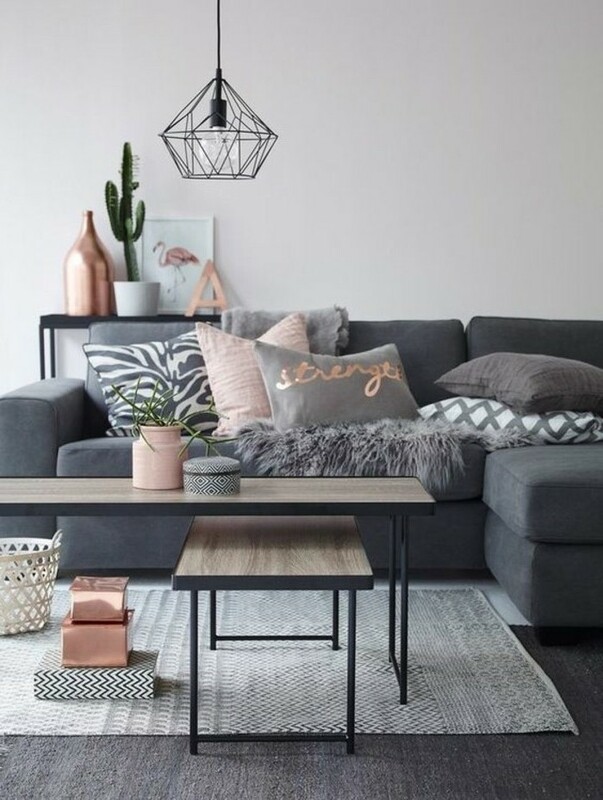 If you’d rather have a room that is soft but also subtly chic, opt for a marriage between pale gray and pastel pink, or darker gray and light blue. 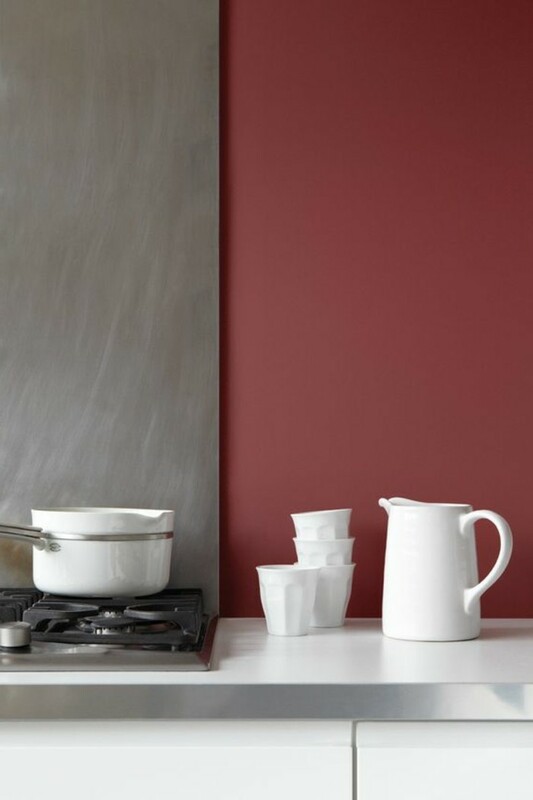 Those who want a dramatic, aristocratic look, on the other hand, should choose a combination of gray and red. 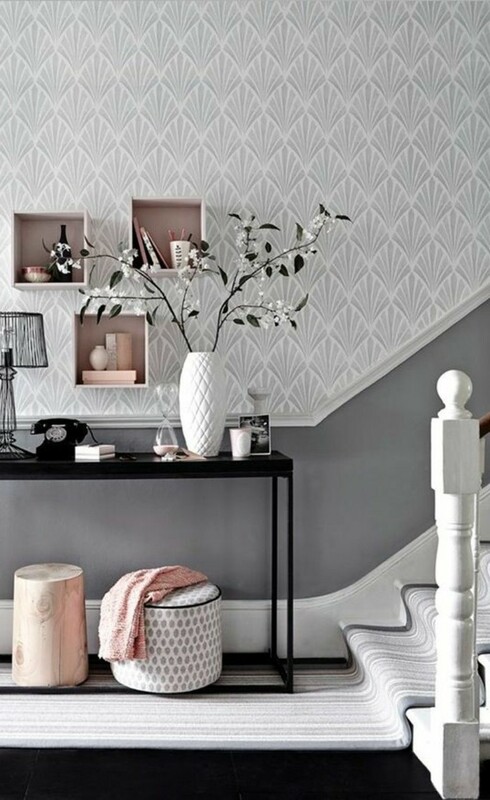 Our advice for fans of all things fashionable is to pick a mix of gray and turquoise, hot pink or cyclamen. These combinations are very trendy at the moment. Murals and ornamental wallpapers are also quite popular, especially when they are in black and white and feature animal or tribal motifs. 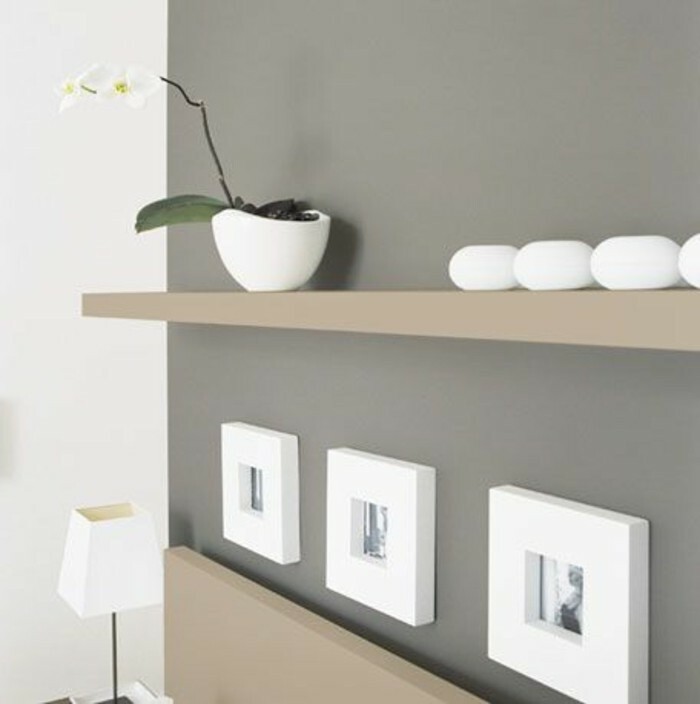 In most cases decorators use gray as the main wall color and select one or two other hues to create a refreshing accent. 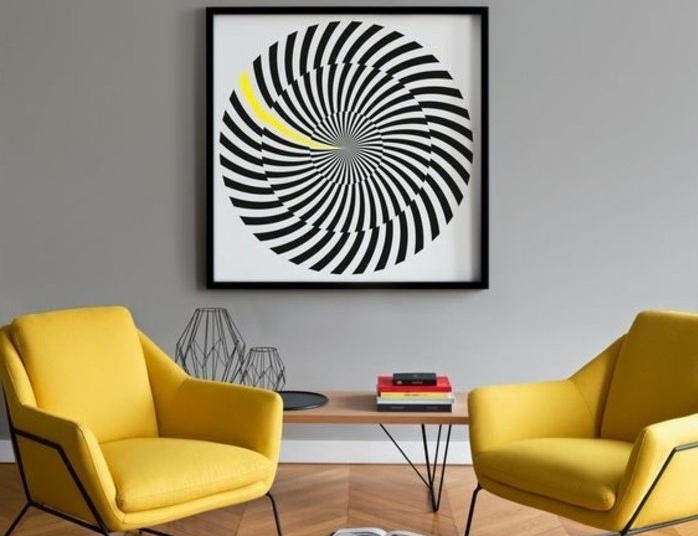 The reason for this is that when gray is dominant, it retains its air of sophistication and calmness, while also opening possibilities for experimentation. 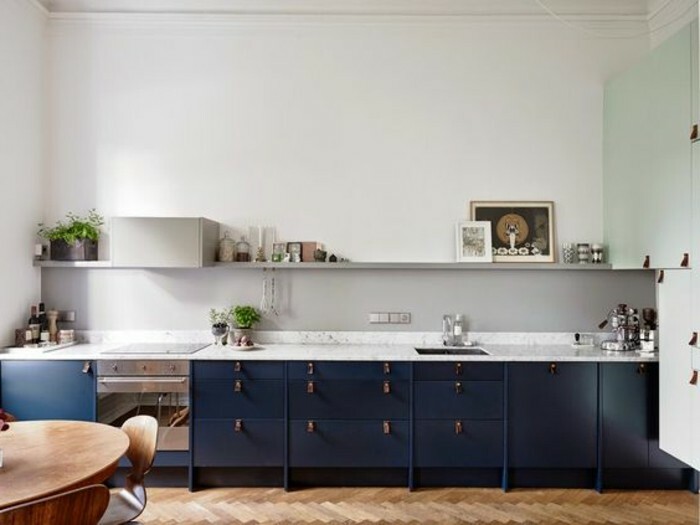 Alliteratively, one could opt for bright, multicolored walls and pair them up with plain grey furniture. 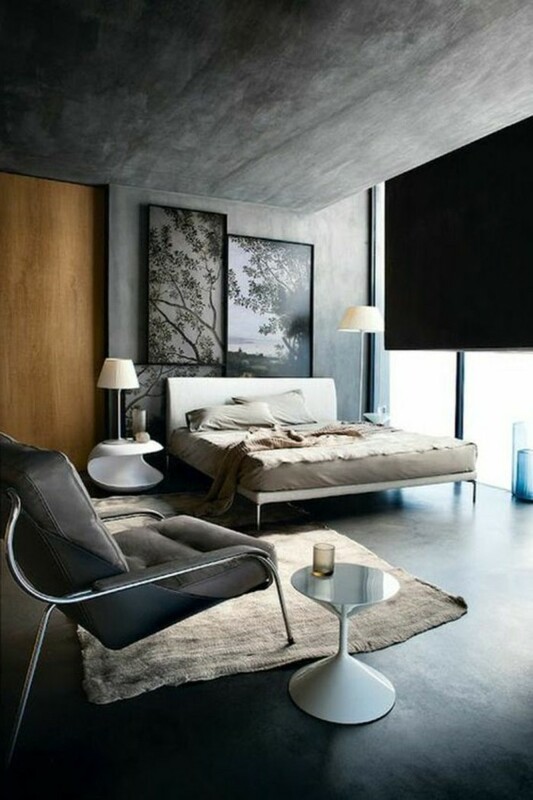 If you would like to make a room seem bigger, paint its walls in two alternating shades of gray. This will create an optical illusion of spaciousness. 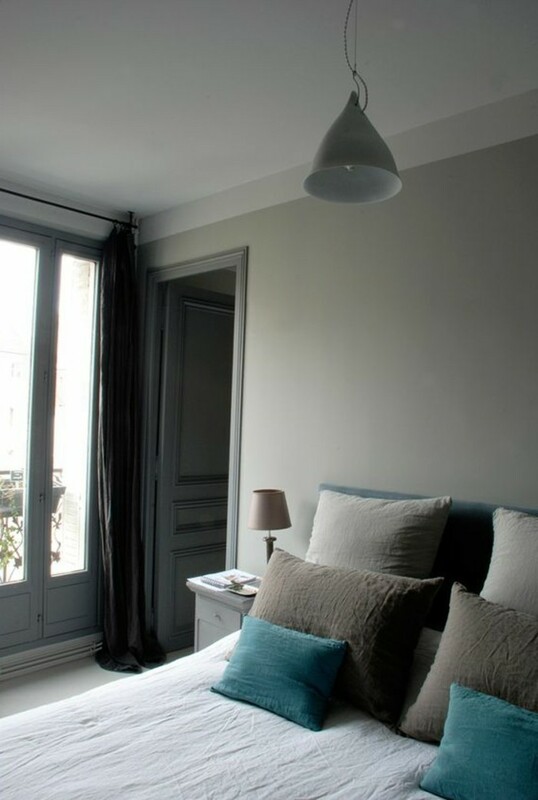 The hottest gray hues at the moment are the French gray (with hints of beige), greenish gray, and creamy gray. 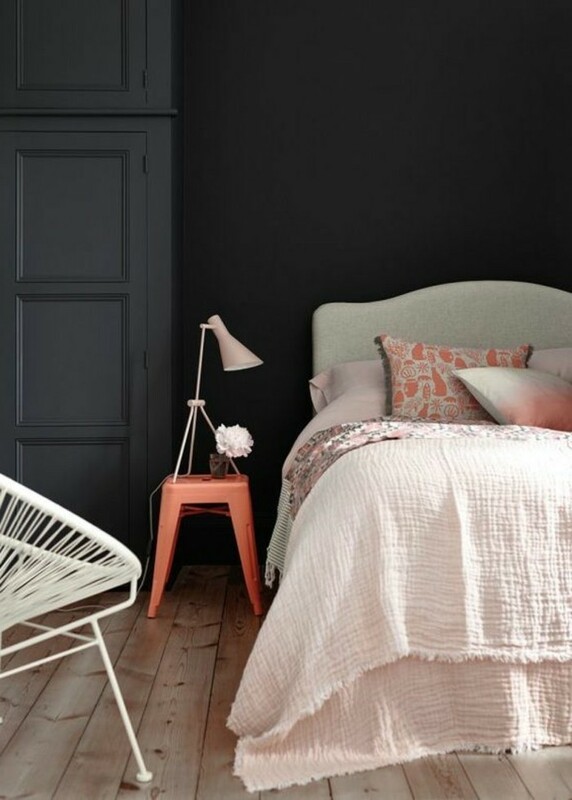 Classic dark and light shades are timeless and remain enduringly popular. 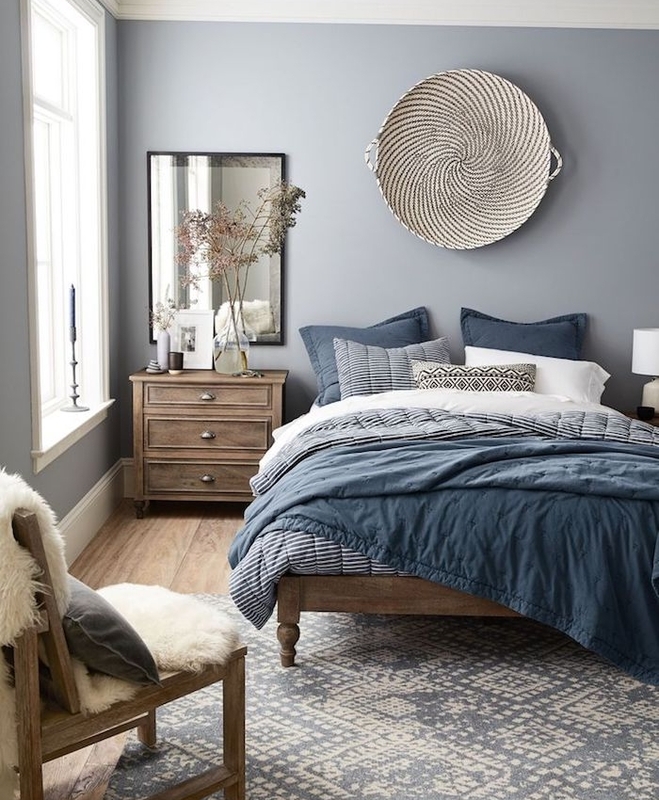 Its versatile and stylish look makes gray an excellent option for every room of your home.The key is to add statement furniture and tasteful decorations, and, above all, not to be afraid to think outside of the box and experiment! Although it is a preferred choice for living rooms, studies and dens, it also works really well in bedrooms, kitchens, and bathrooms. 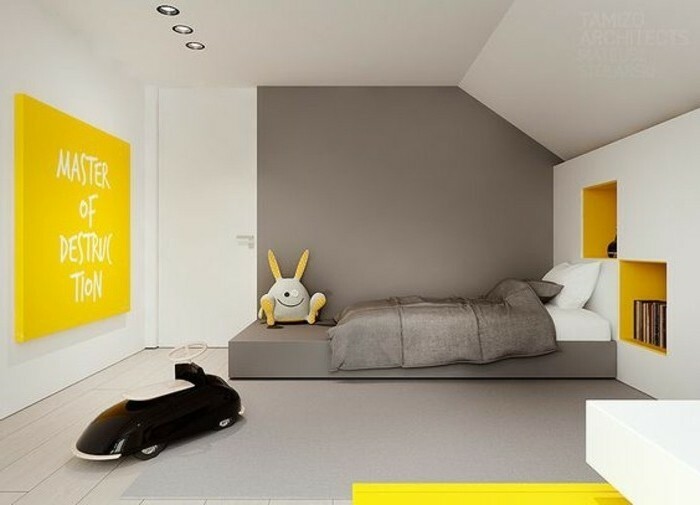 Nowadays there are even gray themes for children’s rooms and nurseries! 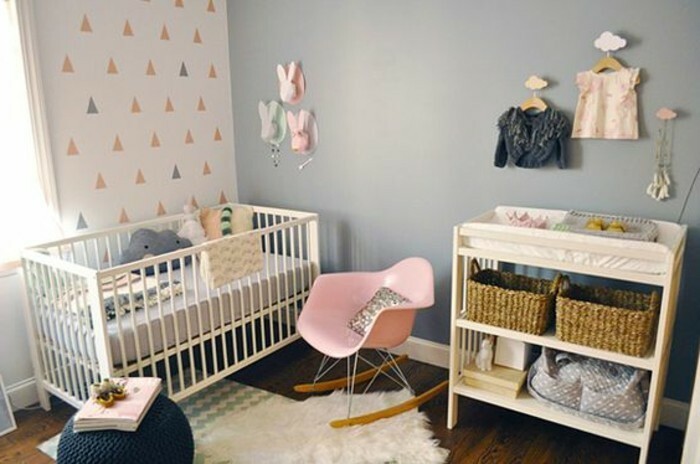 Not only do they look stylish and chic, but the soft tones help calm your little ones. 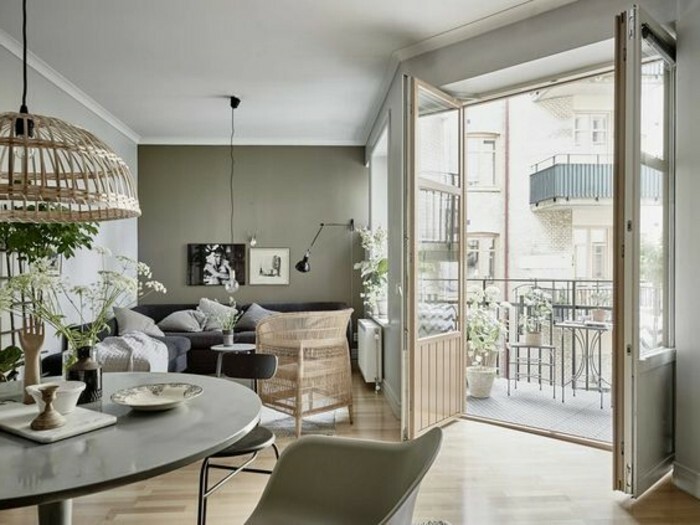 A few years back, gray home decor was synonymous with the somewhat harsh industrial style, but today it is also associated with cozy Scandinavian designs. 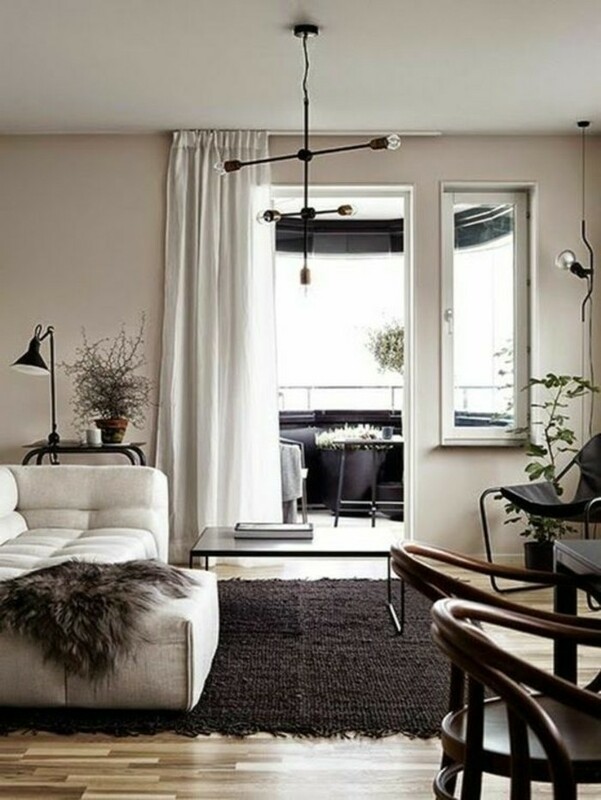 To achieve the perfect Nordic look, combine gray walls with white or beige, and add soft fabric rugs, pillows and throws in natural colors. 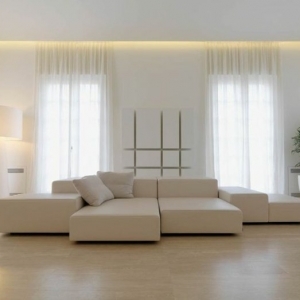 Above all, opt for a minimalism, with as few furniture pieces as possible. 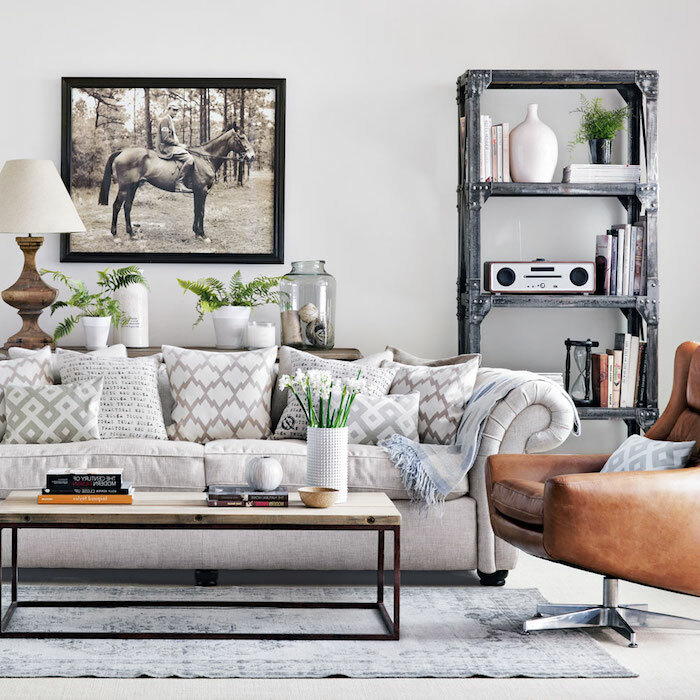 If you’d rather have a lavish, Hollywood inspired abode fit for a star, go for gray in combination with bright eye catching colors, and decorate with statement pop art pieces. Pairing dark gray walls up with baroque furniture, sculptures and art, on the other hand, will create a dignified and aristocratic living space. 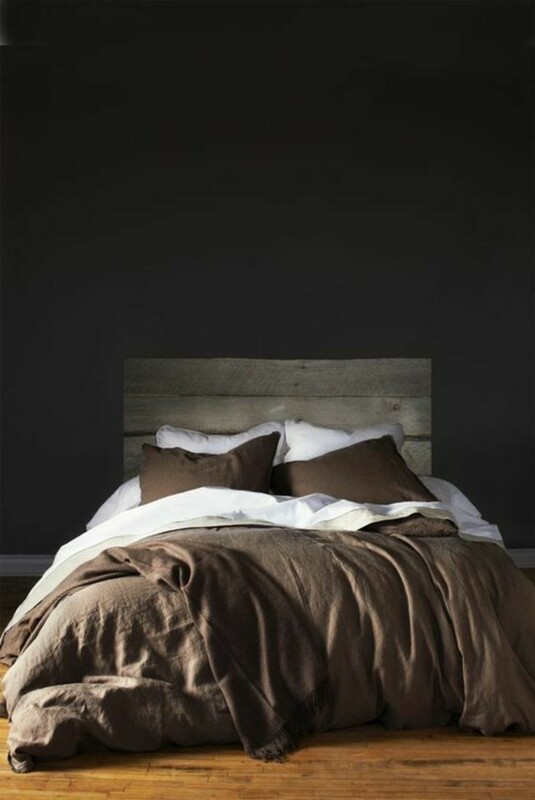 Gray and brown – another very suitable combination. 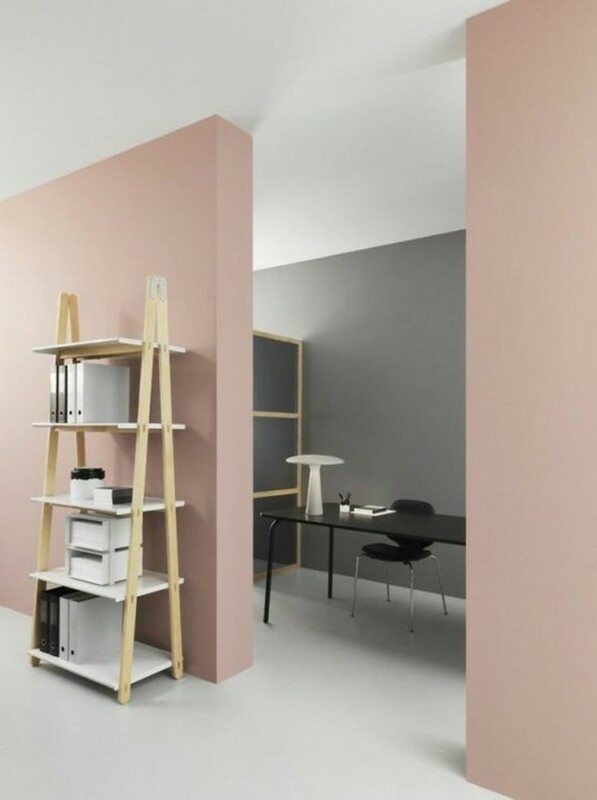 Wonderful idea for people wondering about colors that go with gray walls! 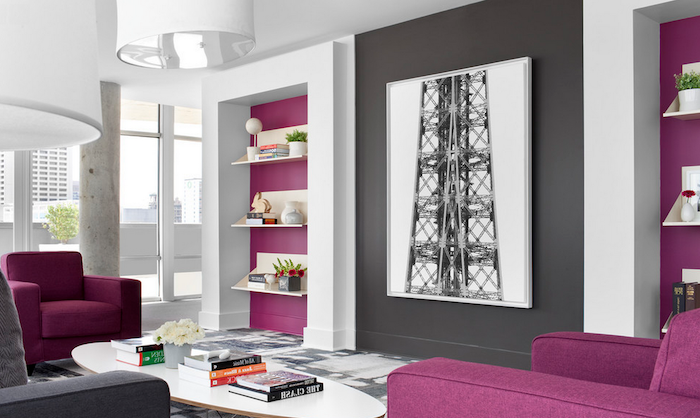 Individuals who prefer modern decor, can spruce gray walls up with stylish, black and white photographs in tasteful frames. Colorful glass decorations are also very appropriate. 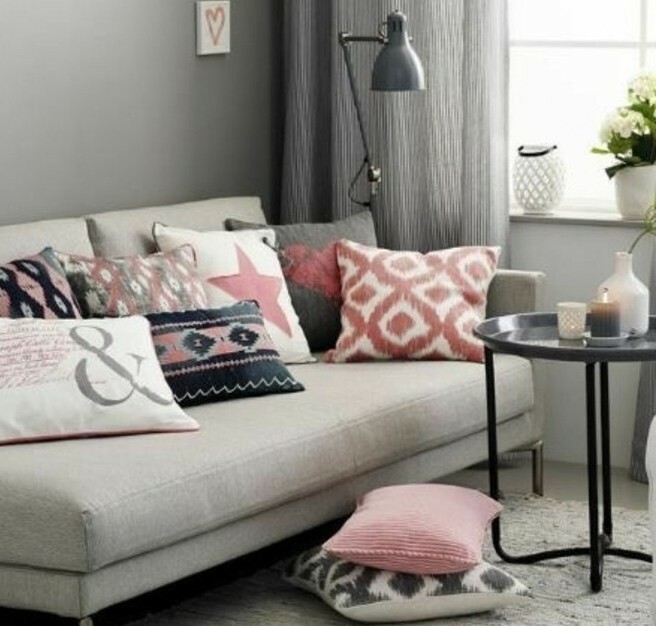 As it’s so versatile, gray can be mixed with motifs as varied as animal prints, geometric patterns and floral designs. 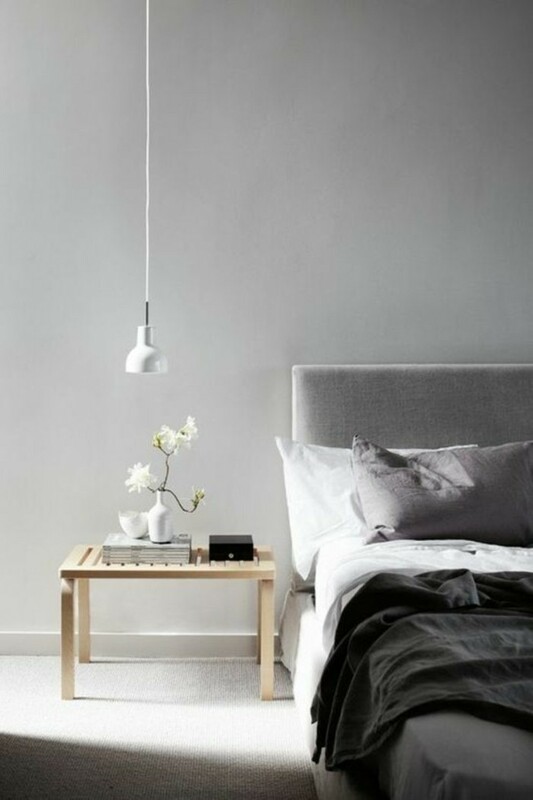 Finally, it is worth mentioning that gray works best in bright, well-lit interiors. 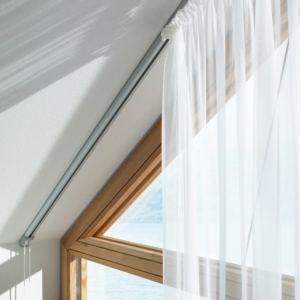 Thus, it is better avoiding it in dim spaces or rooms that have small north-facing windows. 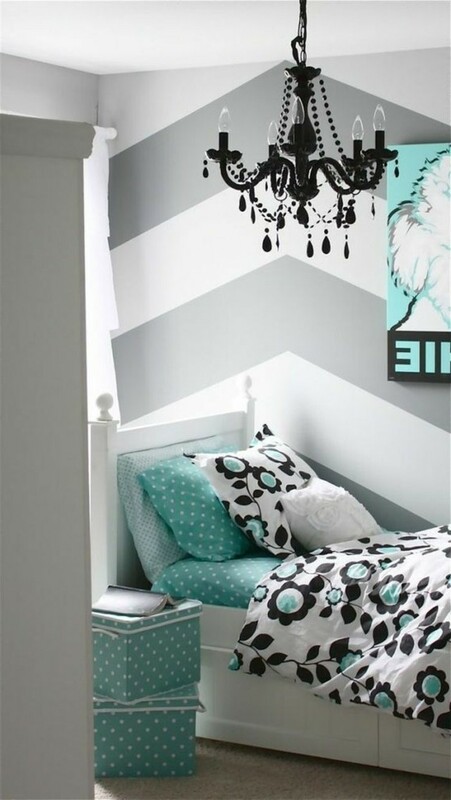 In such cases it is better to opt for brighter hues or choose a very light shade of gray. 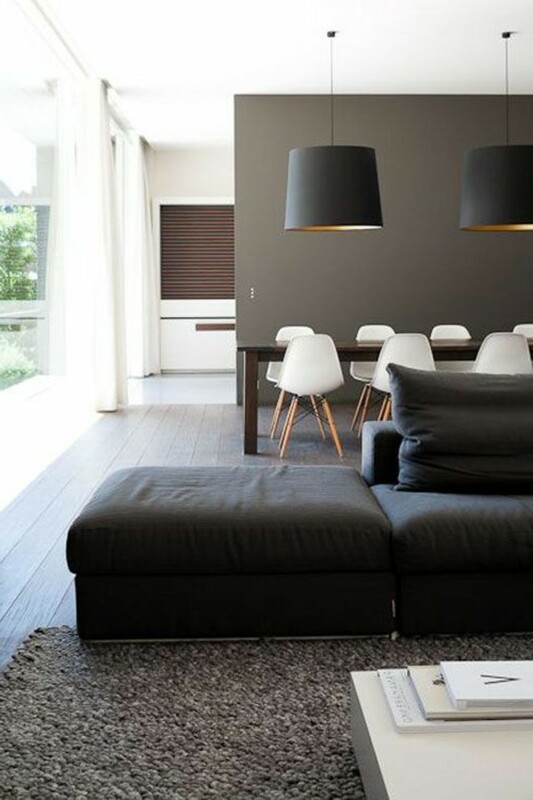 This pearl gray shade will transform your walls! 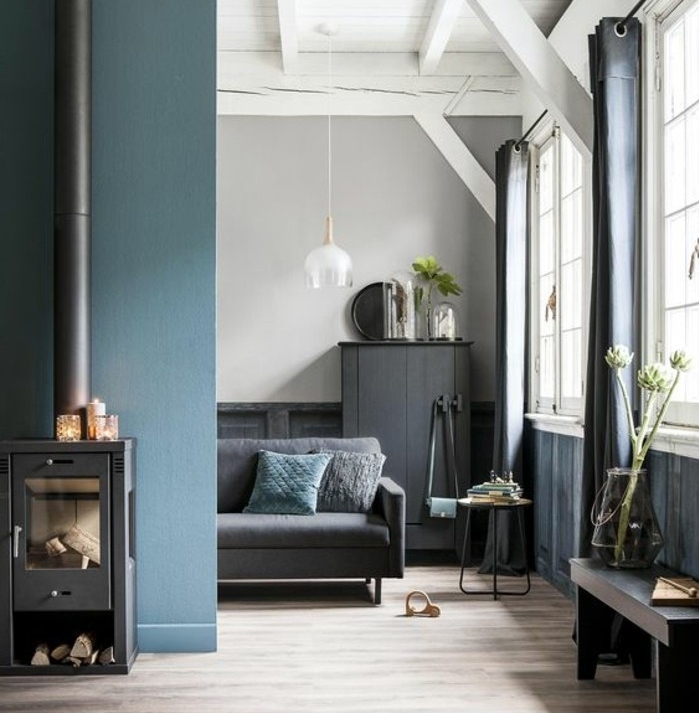 Blue and gray is an excellent choice for your living room! 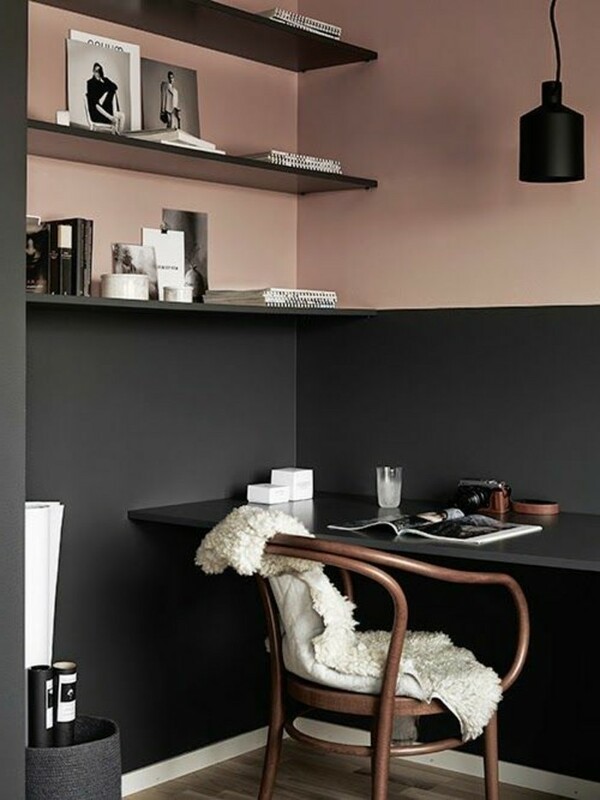 Still wondering about colors that go with gray walls? 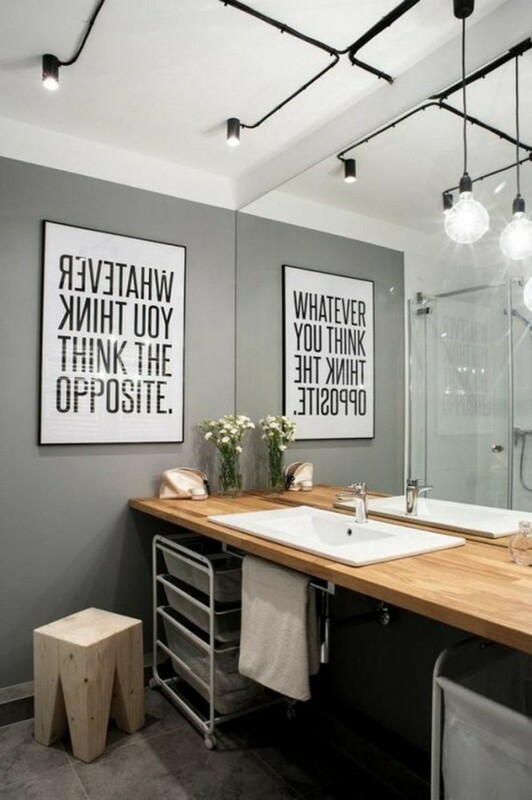 How about choosing several nuances of gray?